The Trustees are required to oversee all cemeteries in the Township and provide for their management. Fort Laurens Cemetery is the only active cemetery in the township and it is located South of the Village of Bolivar on Fort Laurens Road directly across from Fort Laurens State Memorial. 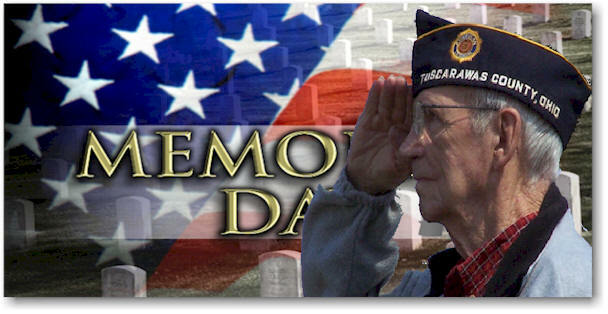 Fort Laurens Cemetery has an honored role in our annual Memorial Day Parade and Services. Shown above is Justin E. Huth, World War II veteran and lifetime resident of Lawrence Township, giving his last salute. Zutavern Church Cemetery is located approximately two miles on Zutavern Church Road from Fort Laurens Road. Kline Grove Cemetery is located on French Hill Road approximately 1/2 mile from Towpath Road. St Peters Church Cemetery is located approximately 1 1/2 miles on St. Peters Church Road from Fort Laurens Road. It is privately owned by the Catholic Church diocese in Columbus, Ohio. 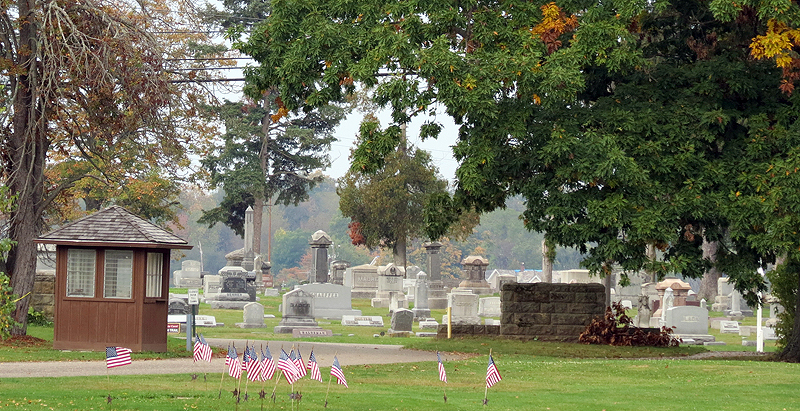 Fort Laurens Cemetery, as viewed from the Fort Laurens State Memorial site.